(1) Players who were in Gotham Division 1, 2, or 3 during Spring 2017 season. (2) Players who were not in a Gotham Division Spring ’17, but were in Power A or B. (3) Other level-appropriate players who were not in a Gotham Division or Power in Spring ’17 season, or new to Gotham. Registration will begin on the Friday before each Open Play, at noon. Please register using the button below, which will appear when registration opens. The Summer Season of Advanced Open Play has concluded. Thank-you for your participation and support in making it a great one! 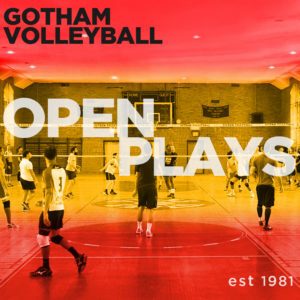 Check back after Labor Day for Fall Season Advanced Open Play opportunities. We invite you to sign up for the BB Friendship Tournament on Wednesday August 23rd. CLICK HERE for more information.